Stone Bridge Press, 9781611720198, 208pp. 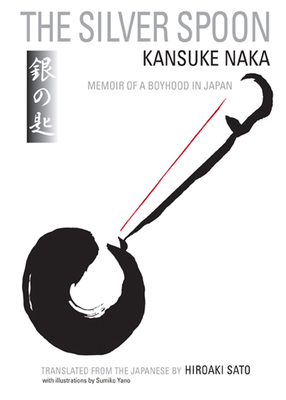 Perhaps the most admired childhood memoir ever written in Japan, The Silver Spoon is a sharp detailing of life at the end of the Meiji period (1912) through the eyes of a boy as he grows into adolescence. Innocence fades as he slowly becomes aware of himself and others, while scene after scene richly evokes the tastes, lifestyles, landscapes, objects, and manners of a lost Japan. Kansuke Naka (1885-1965) was a Japanese poet, essayist, and novelist. He was a student of the great novelist Soseki Natsume, who lavishly praised the "freshness and dignity" of Naka's prose and encouraged the first publication of The Silver Spoon. Hiroaki Sato is a writer, reviewer, and translator with over forty works of classical and modern Japanese poetry, prose, and fiction published in English. He has received the PEN American Center Translation Prize and the Japan-U.S. Friendship Commission Prize for the Translation of Japanese Literature. He lives in New York City and writes a monthly column on politics and society for the Japan Times. Kansuke Naka (1885-1965) was a Japanese poet, essayist, and novelist. He was a student of the great novelist Soseki Natsume, who lavishly praised the "freshness and dignity" of Naka's prose and encouraged the first publication of The Silver Spoon.Hiroaki Sato is a writer, reviewer, and translator with over forty works of classical and modern Japanese poetry, prose, and fiction published in English. He has received the PEN American Center Translation Prize and the Japan-U.S. Friendship Commission Prize for the Translation of Japanese Literature. He lives in New York City and writes a monthly column on politics and society for the Japan Times.